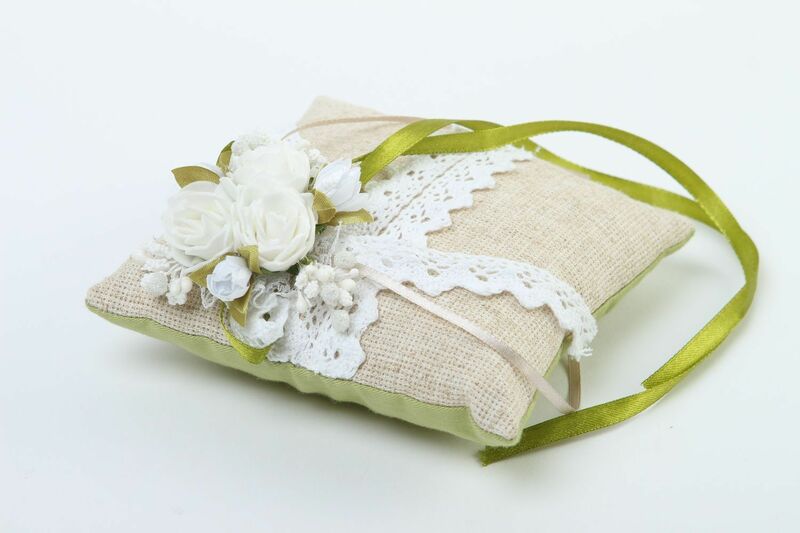 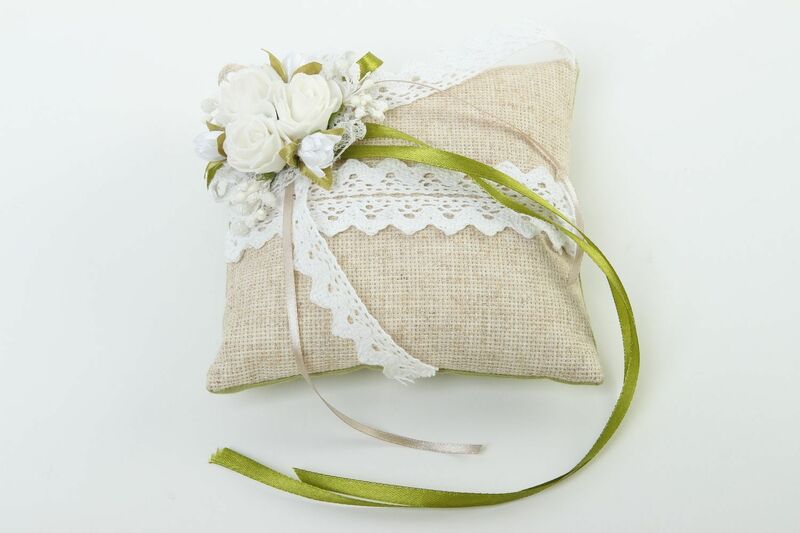 This ring pillow is made of coarse calico, decorated with lacy and satin ribbons and fabric flowers. 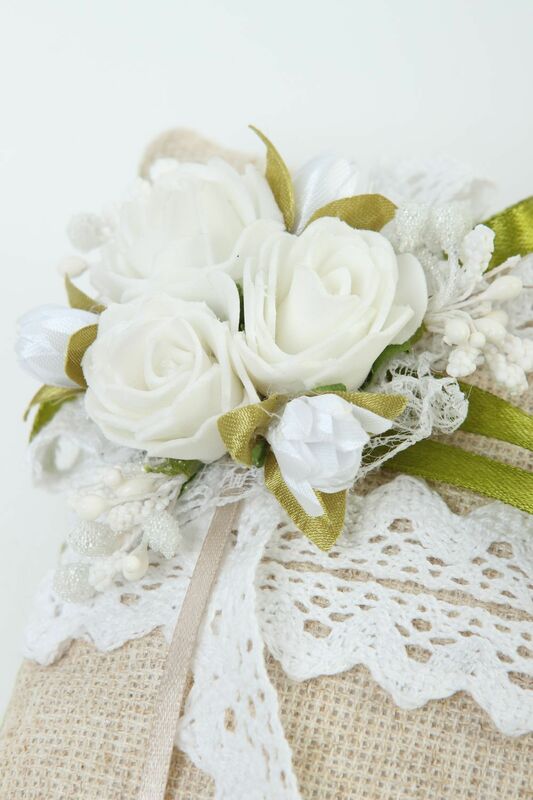 This wedding accessory is an important detail for the ceremony. 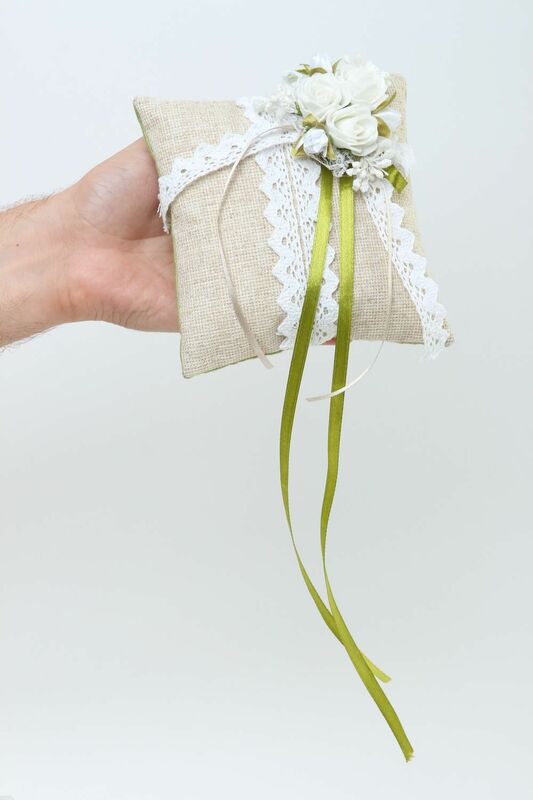 Entrust the most important things to this product - your wedding rings! 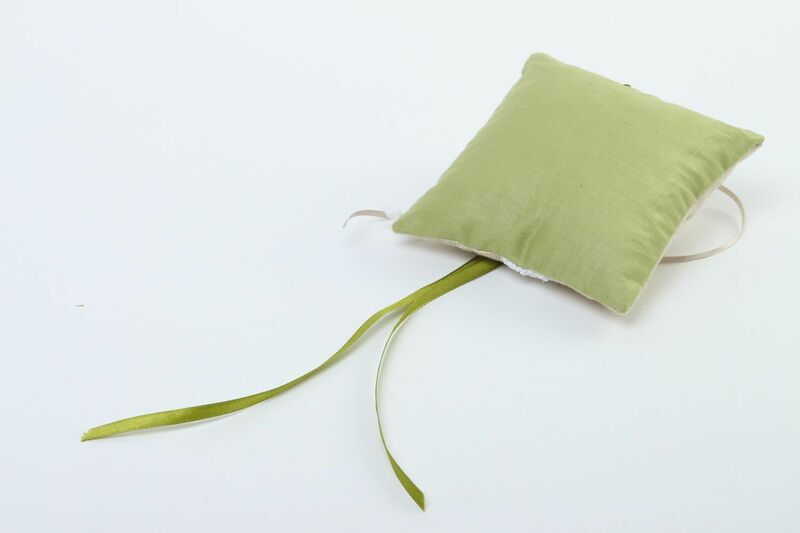 The pillow can be sewn in different colors and sizes.